Groundswell believes that people need accessible information to make informed choices. When it comes to new insights and solutions, the first and most important group to share them with are people who are currently experiencing homelessness. Groundswell’s Action Updates share the insight our Peer Advocates have gathered through working with homeless people across London. 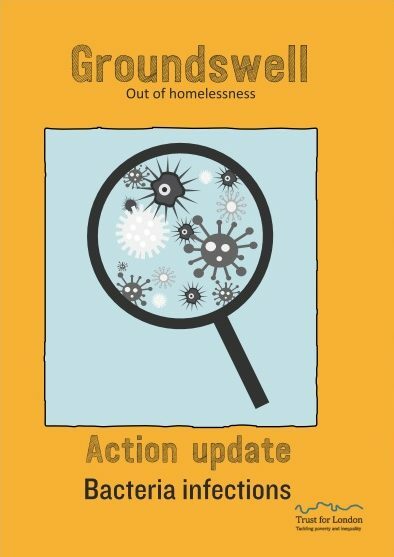 Each Action Update highlights a topic and offers practical advice targeted at people who are currently using homelessness services. They are designed to be printed on a standard A4 page and then folded down to booklet size, so please print them out and pass them on. Click on the links below to view some of our past Action Updates. Please note Groundswell work is licensed under a Creative Commons Attribution-NonCommercial 4.0 International License. Bacteria are everywhere, but problems occur when they get into the wrong place. When you are homeless, the conditions you can be living in can place you at increased risk of developing a Bacterial Infection. 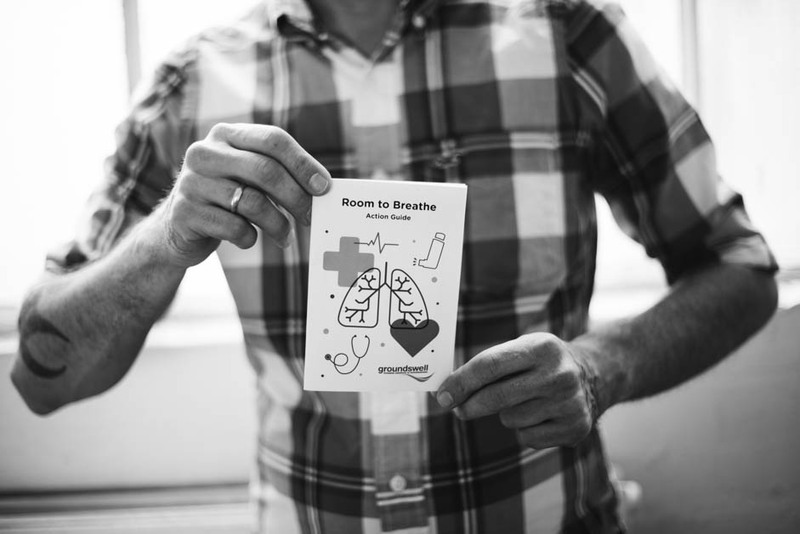 Our Peer Advocates use their personal experience of homelessness to support people to address their health needs. Unsafe injecting practices significantly increase the risk of developing skin infections or abscesses, if an infection is not treated early it can lead to serious health problems which can result in death. Following our last update on ‘Safer Injecting’ our new update is a quick guide to healthy practices to encourage help-seeking behaviour and reduce the risk of Bacterial Infections. Injecting drugs is damaging to health but there are steps that can be taken to reduce the risks and limit the harm it causes. 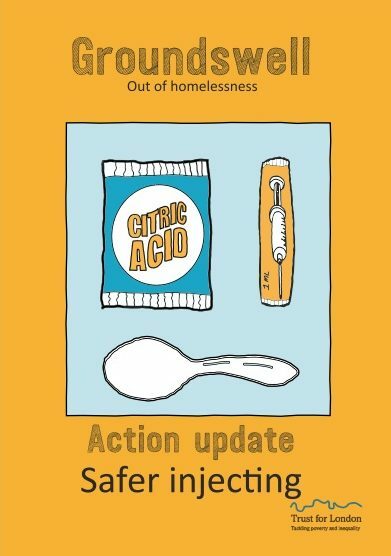 Our previous Action Update is a quick guide to safer injecting practices aimed at people experiencing homelessness. Recently we have seen an increase in injection wounds and other health problems as a result of unsafe injecting practices. We have produced this guide to help increase awareness around safer injecting. Our action updates have been generously funded by Trust for London.